After YEDI’s executive manager, Ms. Liu Yun spent a month in at the Berlin office of their partner organization Grüne Liga e.V. , Michael Bender from Grüne Liga has now arrived in Kunming for the reverse exchange. 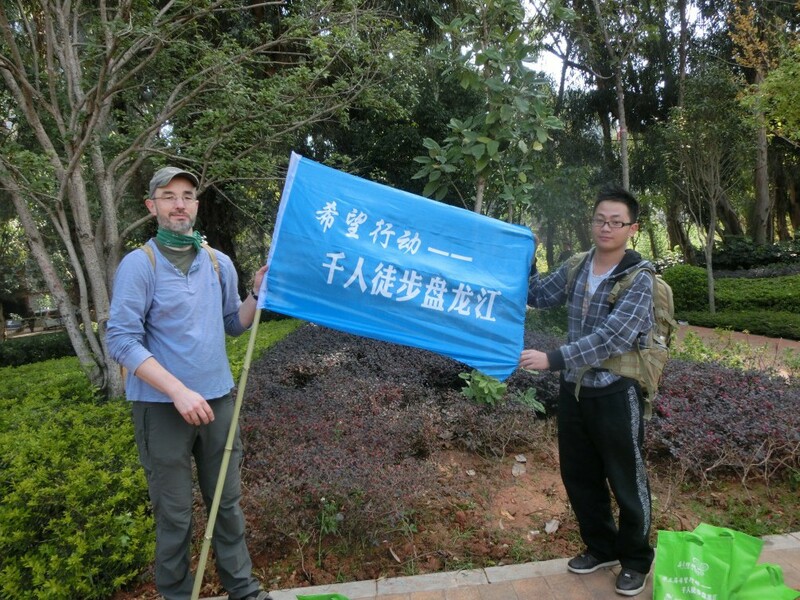 For one month he will gather insights into the work of the Yunnan Environmental Development Institute’s work. 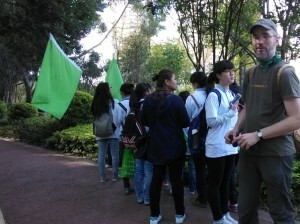 On November 3rd, his very first day in Kunming, Mr. Michael Bender joined the third annual river walking campaign with YEDI’s project assistant Ms. Zhang Lu. In the morning, Ms. Zhang Lu and Mr. Bender thus walked along the Panlong River with representatives from several local NGOs and city residents. Along the way, they observed tests of the water quality performed to demonstrate the importance of the fight against water bodies’ pollution. Mr. Bender said he was pleased to participate in this activity. On the one hand, he now has a general understanding of the Panlong River. 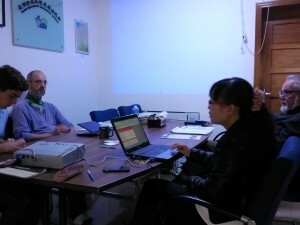 On the other hand, he has learned more about Chinese NGOs and the way they function. During his stay with YEDI Michael Bender will also have the opportunity to attend several nationwide conferences on NGO work and present the Grüne Liga’s work at a meeting of local NGOs.